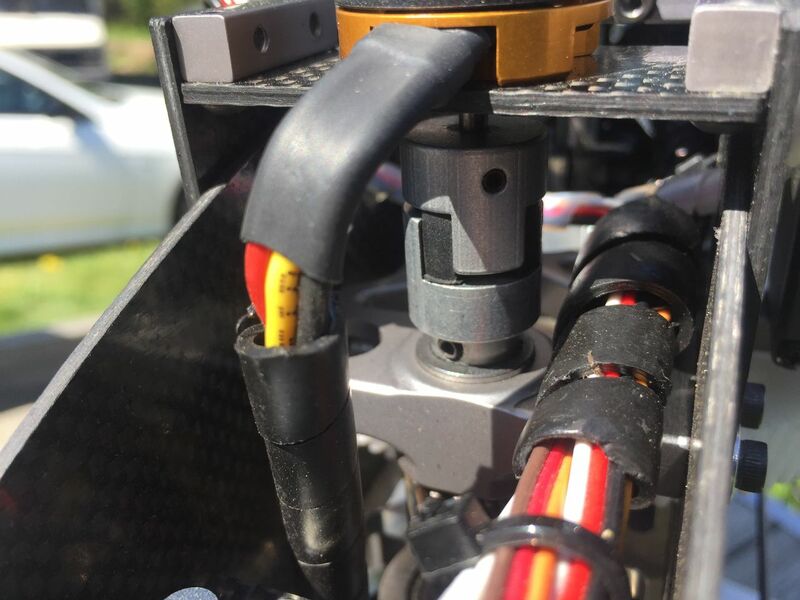 How to charge RX-pack during flight? While visiting Habo Helimeet this year I saw something interesting in one of the Miniature Aircraft’s Whiplashes. There was actually a charger for the RX-battery on it, not new by it self but the quality of execution really was worth a closer look. I knew what it was for but I was curious on the technical execution so I hunted down the owner of the heli and found out that Raja Bortcosh was more than willing to talk about it. 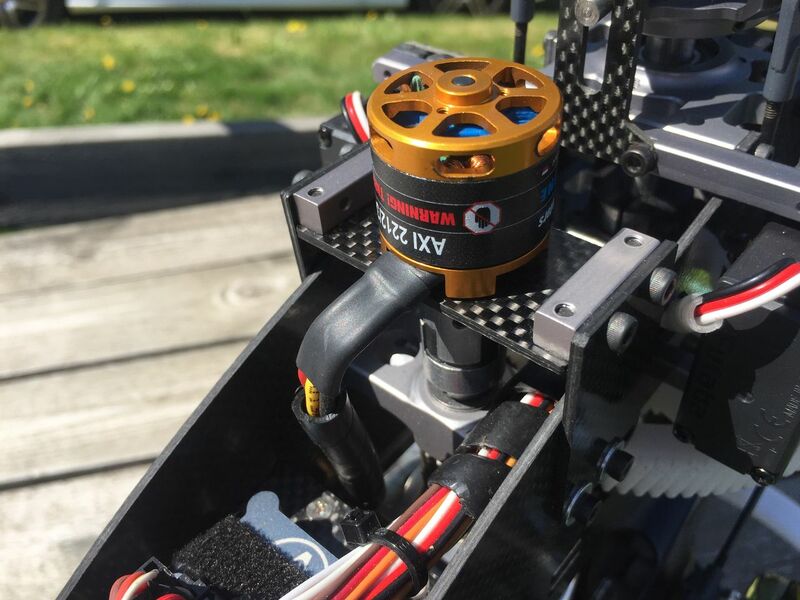 The need for the system is simple, Raja’s Whiplash is a gasser with flighttimes up to 20 minutes or more, and instead of having a big and heavy RX-pack you can have an generator onboard and use a smaller, lighter RX-battery instead. 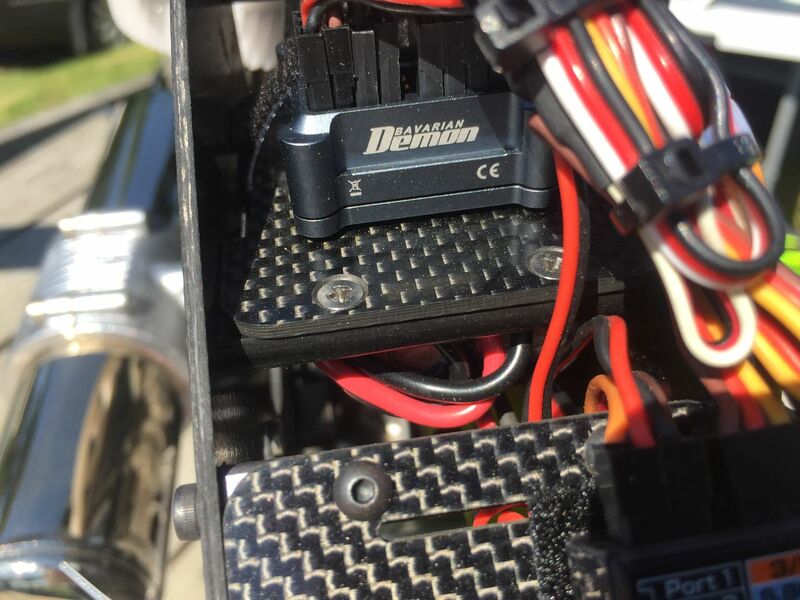 You mount the engine on top of starter-shaft with a coupler, system takes very little power from the gas-engine and in Raja’s case this is done really nicely. You put the RX-battery-switch to ON, start the gas-engine and generator is giving power. Simple as that. As Raja demonstrated you can even unplug your battery while engine runs and everything works. So simple yet powerfull. Weight for the system is less than 6 ounces (170 grams) so that really is not an issue! And yes, you can get it! You can contact Raja on the email rbort at juno.com, he’s been doing these for years and the quality of parts etc was better than some manufacturer’s are sending us! Raja, it was a pleasure to meet you, enjoy your long flights! 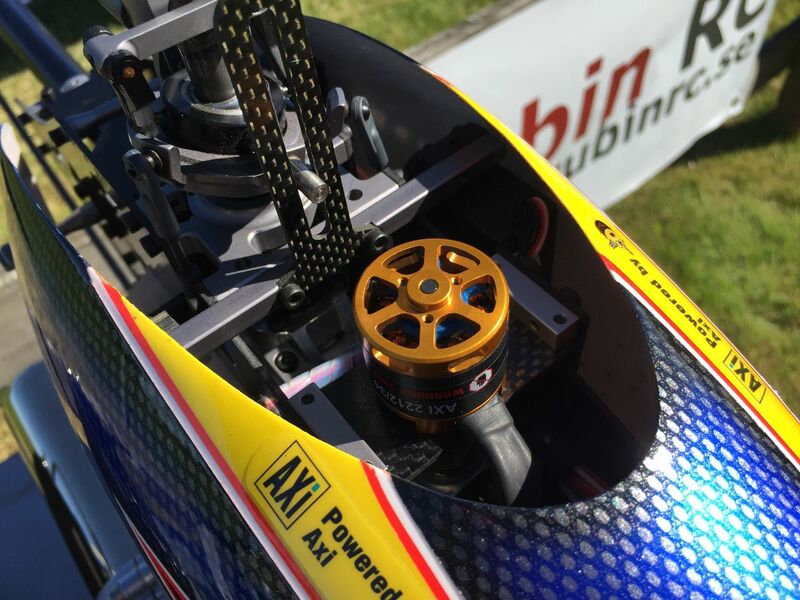 Bling your Jeti – Backplate!